Capital Ideas Media publisher Mark Bunting talks to Cronos Group (MJN:TSXV) President, CEO and chairman Michael Gorenstein about the company’s ambitious plans to have cannabis production hubs on six continents. He also discusses what it means to the company that it was the best-performing in our stock picking contest. Mark talks to Indiva (NDVA: CN) President, CEO, Director and Founder Niel Marotta about the company’s deep roots in medical cannabis, and about the company’s legendary activist master grower Pete Young. And Mark sits down with Bruce Campbell, the Founder and portfolio manager of StoneCastle Investment Management. Bruce gets to meet all of the cannabis CEOs, does his due diligence, and then picks the winners. He has three investment ideas for us. Baked: Cooking with Mary Jean presents the Cannaburger recipe (or, the Cannabis Hamburger). Follow along with Mary Jean as you create your new favorite carnivorous cannabis treat. Using Ayahuasca tea is the most trendy thing in the spiritual underground community. Learn here all about the sacred practice of using this plant medicine through the perspective of a well qualified, ultra spiritual, new age shaman. You’ll learn everything you need to know. Beneficial Bugs – Are they always beneficial? WTF: Caltrans and UC Davis use mites on the side of the highway! 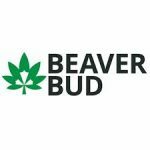 Want to see/read TalkingCANNABIS in your language? Want to read text Transcripts in your language? Would you like to be a guest on TalkingCANNABIS or do you have questions for the pannel? Part 1 is here to show you everything you need to buy from Southside Garden Supply and the hardware store to build your very own aeroponic cloner. Aeroponics is a medium free method of growing in which roots are sprayed or misted with a nutrient solution. Aeroponics was originally developed by NASA as a method of growing plants in gravity deprived environments, but has been adapted by cannabis growers as a very efficient and clean way to grow marijuana. Part 2 will be release soon and we will show you how to build the unit. Brought to you by Southside Garden Supply produced by Alaska Green Science, LLC. In the premiere episode of Marijuana Mania, Berner takes you on an exclusive trip to the Cookie Fam’s farm to talk breeding and then to the 3rd Generation Family farm during harvest season to get an inside look at what it actually takes to create some of best strains the world has ever smoked. POT TV – WATCH this short video to see an easy, quick recipe for delicious cannabis infused cookies. Watch The 420 Lifestyle every Monday at 4pt for more fun videos like this! More about this programme: http://www.bbc.co.uk/programmes/p01djw5m Miss Gulliver attempts to give her Drug Awareness presentation to Alfie’s class. The expert lawyers at the Cannabis Legal Group discuss the business planning necessary to obtain a medical marijuana business license. The Michigan Medical Marijuana Facilities Licensing Act authorizes the Department of Licensing and Regulatory Affairs (LARA) to begin accepting applications for commercial marijuana licenses. The state will license dispensaries, cultivations, marijuana infused processors, testing laboratories and secure transporters. Those who wish to obtain a license will have to have a solid business plan. The plan will demonstrate that the business has the appropriate funding, liquidity, and financial expectations to ensure a solid and successful operation. The lawyers of the Cannabis Legal Group, Michigan’s most qualified and experienced marijuana boutique law firm explain this important topic. Cannabis News: A judge in south Jersey has ruled that a man injured on the job at a lumber company will have his medical marijuana tab paid by his employer’s workers compensation insurance. This is a landmark decision for New Jersey. The Judge said in the ruling that the injured employee provided thorough testimony that showed the effects of marijuana were not as debilitating as the effects of the Percocet previously taken by him and that as a result of his improved pain management, he had achieved a greater level of functionality. The judge said the worker was cautious, mature and exceptionally conscientious about managing his pain. More than 450 people suffering from post-traumatic stress disorder have now enrolled in New Jersey’s medical marijuana program after Gov. Christie agreed to add PTSD to the list of treatable conditions. The PTSD enrollees amount to about 4% of the 10,800 patients who legally buy medical cannabis from one of New Jersey’s five dispensaries. The increase adds further momentum to New Jersey’s medical cannabis program. New Jersey’s Medical Marijuana program has been hampered by governor Christie who has shown little enthusiasm for medical cannabis. New Jersey also lacks doctors willing to be certified in the medical cannabis program. Over 70,000 people have signed a new petition calling on the DEA to stop disseminating false information about medical cannabis and ensure that any future information reflects medically-accurate and up-to-date facts. The filing could bring major changes to the way medical cannabis laws and regulations are treated by public officials. For decades, politicians have stated that now-disproved harmful effects were reasons to either prohibit or impose burdens on patients seeking safe and legal access to medical cannabis. The DEA admitted this past August that cannabis is not a gateway drug and does not cause long-term brain damage, psychosis, and other alleged harms however they have not removed these disprove references and are continuing to spread inaccurate information. The Arkansas Medical Marijuana Commission also decided that people who apply must have a million bond or assets worth million and be able to show 0,000 in cash liquidity. The requirements are in addition to a ,000 application fee. Weedtuber Rejoice: Elizabeth Warren and several other US Senators have asked the Financial Crimes Enforcement Network to stop punishing banks that do business with cannabis-related companies in states where the sale of marijuana has been legalized. Warren said fewer than 3 percent of the nation’s 11,954 federally regulated banks and credit unions are serving the cannabis industry. Democratic President Barack Obama’s administration has essentially turned a blind eye to state laws legalizing the drug, and supporters of legalizing marijuana hope Republican President-elect Donald Trump will follow suit. I do not like green eggs and ham, but I DO like green marijuana eggs and toast! Follow along with Mary Jean as she creates the only breakfast you’ll ever need. These marijuana sweet rolls will stay fresh on the shelf for 3 – 4 days with only a light cover. No eggs, or milk are used and the butter has been clarified to oil for a very shelf stable recipe especially for cinnamon rolls. But don’t worry, the flavor is not compromised, it’s actually even better because the doubled amount butter oil melts out then absorbs back into the dough for a rich, gooey and and deliciously buttery dessert or paired with a cup of coffee in the morning for a decadent cannabis kick start.